Our Square Corner Stickers are cut to the size you choose, they are supplied on Rolls and have single cut between labels (No Space Between Labels) for easy peel and stick applying. 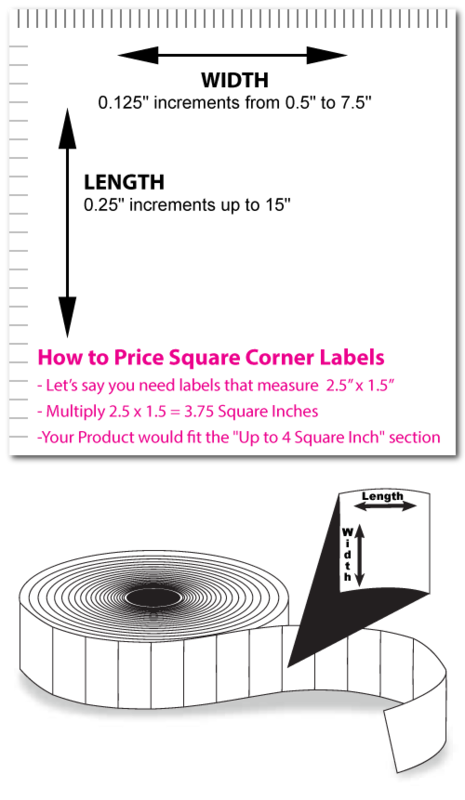 You can purchase the labels based on the square inches used, you can figure out how many square inches you need by multiplying the width by the height of the labels, for example, if you are ordering a 3.5" x 2.25" Rectangle, you multiple 3.5 X 2.25 and the square inches would be 7.875 Inches, the product you would choose would be the Up to 8 Square Inches, you can use the dropdown boxes below to help you choose the product to order. 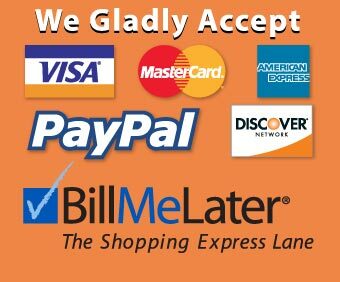 You may also contact us via chat during our regular business hours if you need help. 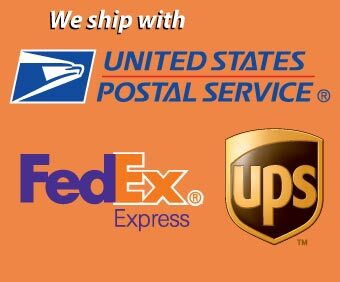 Perfect when you need an exact size that is not available as a Round Corner Rectangle Die. When you need a Square Corner Label to fit in a recessed area. Ink colors can Not bleed off the edge of the Label on Square Corner Labels.